Today is April 21 — the day Google officially launches its mobile friendly ranking algorithm. For sites that aren’t mobile friendly, this means a likely drop in traffic from the mobile audience moving forward. For sites that are mobile friendly, this means it’s time to up the game. Sixty-two (62) percent of organic searches show different results on desktop and mobile. If you aren’t sure how/if your rankings for high priority keywords differ between desktop and mobile, now is the time to investigate. You can start your research using Google Webmaster Tools. Navigate to Search Traffic > Search Queries via the left-hand navigation. From there, you can adjust the filters to show just “Mobile” search queries or just “Web” search queries. Take note of which keywords are driving traffic — and where they are ranking — on mobile vs. desktop. In some cases, there are fewer search results for a mobile search than on desktop, and we also must factor in results from Universal Search, such as images and videos. So, what’s your true rank in Universal for mobile traffic? Knowing this information will help elevate your mobile search efforts. Keep in mind, too, that your competition in mobile may not necessarily be your competition on desktop. Set aside some time in your research to identify your top mobile competitors and figure out their strengths and weaknesses. There’s no question that mobile and local go hand in hand. According to Google’sMobile Playbook, 94 percent of smartphone users search for location info. Furthermore, people are increasingly using their devices while in a store to do research about the product they are considering. In his presentation for SMX West 2015, Dr. Pete Meyers talked about the changing face of the local SERPs (starting on Slide 16) — what he calls the “snack pack” results — which were designed specifically for the mobile user. But context is key, and not all mobile searches are local. According to one study by Google, 77 percent of mobile searches occur at home or work — so again, understanding how keywords vary by device (and how the message will, in turn, vary) is important to staying relevant. For more on what mobile users want from their content, check out an earlier post I wrote for Marketing Land. According to eMarketer, global mobile ad spend will climb to $100 billion in 2016. It is expected to double to nearly $200 billion between 2016 and 2019, accounting for more than a quarter of all media ad spending worldwide. More ads mean more mobile traffic, and marketers must prime their websites for conversions. We know that it’s no longer the case that people are merely searching on smartphones. In 2013, 17 percent were purchasing from a mobile device, according to the Mobile Search Moments study by Google. Additionally, smartphone conversions in the retail space grew 26 percent in Q3 2014, according to research BrightEdge conducted last year (more on that here). It’s not just B2C that sees mobile conversions, either — more than half of the executives surveyed by Google for its Connected Executive study in 2013 said they would feel comfortable making business purchases via mobile, too. 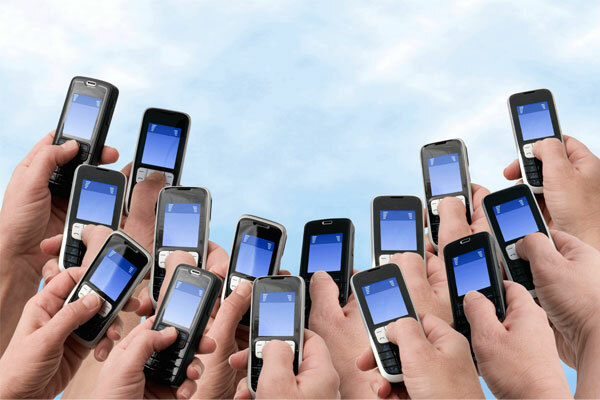 Getting your conversion events prepped for mobile should, therefore, be a high priority. Whether that means streamlining the checkout process for mobile users or making your conversion landing pages suited to the mobile visitor, this is something to consider next in optimizing your mobile experience. For years, Google has been touting that having a mobile site is crucial, and they’ve given website owners a lot of help in understanding what that means for search engine optimization. Today ushers in a new era where being competitive doesn’t just mean having a mobile site; it means having a mobile marketing strategy that encompasses understanding your mobile share of voice, variations in rankings by device type and optimizing your mobile campaigns accordingly.